In October of 2014, I found myself sitting across from the amazing American actor, Denis O’Hare, in New Orleans’ French Quarter. Both living in Fort Greene, a beautiful, leafy neighborhood in Brooklyn, NY, we both found it a little curious that we’d actually met for coffee 1300 miles away in Louisiana. Looking back, it was nothing but divine intervention. During our conversation, I expressed my disappointment in the lack of media representation for transgender men and the lack of acting opportunities for us. Keeping Denis’ words in mind, I traveled back to New York and sat with my thoughts about the lack of transmale representation in American media. With the few opportunities transmen have, almost all of them are passable and almost all of them actively work to erase qualities that are seen as trans. From the way acting roles are written to be cis-normative, to the way photos are cropped to block out hips, or are retouched to erase scars. It’s inauthentic to the lived, real-life experiences of so many transgender men, and creates a standard that is unattainable for a lot of trans folks to ever dream of achieving. This kind of representation also reinforces the idea, to cisgender people (meaning, non-transgender people), that gender is binary; that a man is A and a woman is B and that there is no scope for A- or B+. A week later, back in New York, I went to a panel discussion called LGBT TV which featured television showrunners whose shows were helping to shape the LGBT television landscape in the US: Brad Falchuk from Glee & American Horror Story, Jenji Kohan from Orange is the New Black, Jill Soloway from Transparent, Michael Lannan from Looking and Peter Paige from Queer As Folk & The Fosters. During the discussion, Jill expressed how vital it was that she created her own work, which was something that still echoed in my head from the week prior, a thousand miles away. These two artists who I greatly admired had something in common and I would be stupid if I didn’t take their advice. I knew what I needed to do. I needed to fill the void and add my voice as a transmasculine person to the world. 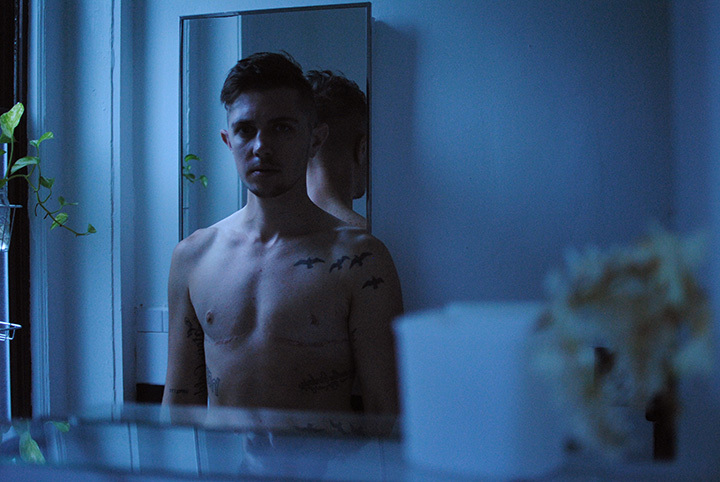 On October 31, 2014, I took what was the first of an ever-growing series of daily fine art self-portraits, I call, “Mine.” The title refers to the reclamation of transgender storytelling by transgender people, as well as a reclamation of my own trans identity that had been watered down by an unsupportive romantic partner and unsupportive family. The daily format of Mine is meant to be unremarkable and ordinary, showing a glimpse into the daily life of one person who happens to be transgender. But once viewed on a larger scale becomes remarkable and extraordinary, highlighting authenticity, emotion and desirability. It was important for all the photos to be unedited. It was also important that most of the photos be full body, or at least ¾. My hips are never Photoshopped to be slimmer, my chest scars are never edited to be lighter. 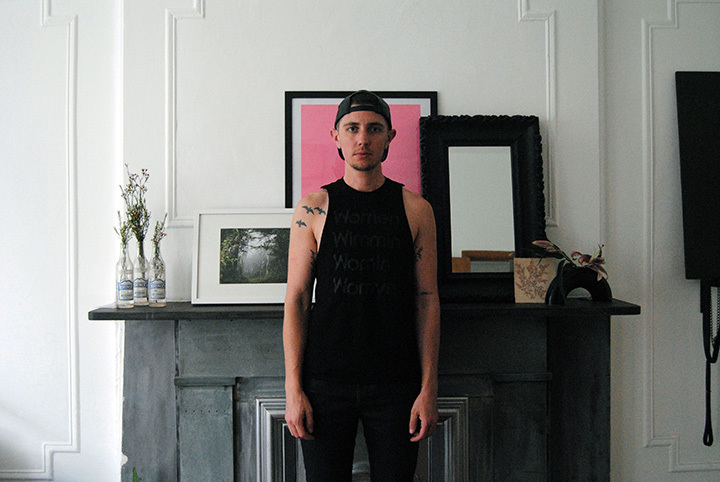 Sawyer DeVuyst is a Brooklyn-based artist working in film & television, photography and interior arts. When he’s not making art, Sawyer loves going to see regionally famous cabaret acts or lying starfished on his bed, trying to enjoy some peace and quiet. Not only does Sawyer suffer from Middle Child Syndrome, but he has to share it with his brother. ‘Mine’ can be viewed in its entirety on Instagram at @sawyermine. Select photos can be seen on Sawyer’s website: www.sawyerdevuyst.com. ‘Mine’ is also a part of Season V of PTL which is run in association with: All About Trans. I read this article and found it very interesting, thought it might be something for you. The article is called Mine and is located at http://prancingthroughlife.com/2015/11/03/mine/.